As many of the long term readers of this blog will know, I have in the past made contact with several high profile people with the aim to help raising funds for a local primary school in a deprived area of South Devon. In the past Jeremy Rata of Bovey Castle donated full afternoon tea for 4 & Sue Williams of Gidleigh Park donated a Michael Caines signed cookbook. Whilst I try to keep it relatively local to where the school is located, it is always hard not to re-approach these two generous properties again. As the blog has grown in size & reputation it would be easy for me to approach all and sundry for contributions, signed books & all. But I wanted the people that would benefit or receive these prizes to be able to identify with the properties concerned, so with this in mind a new list was drawn up. First up were the Tanner brothers, with 2 eateries in Plymouth (a mere 30 minutes from the school) they would fit the criteria. As Chris Tanner & myself follow each other on Twitter, I dispatched a direct message to him explaining the situation. 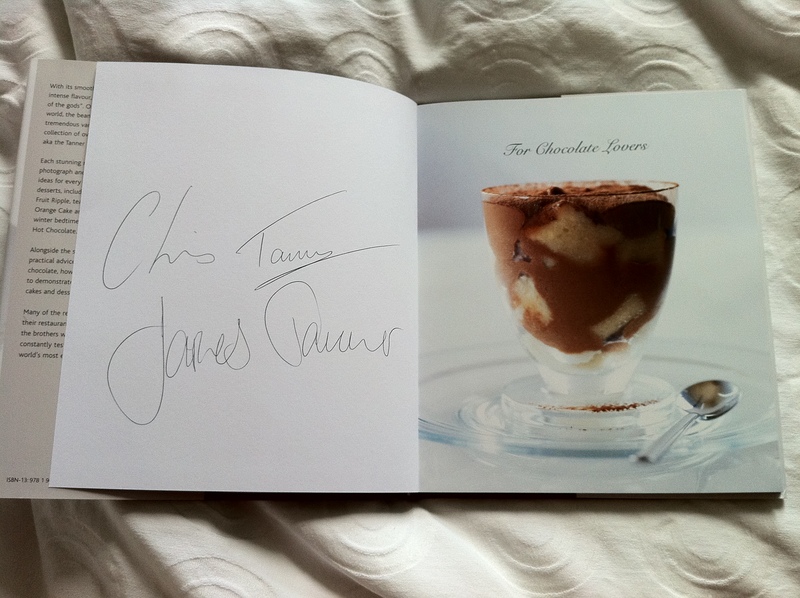 Being a father himself it obviously resonated with him & duly dispatched a signed cookbook from James & himself. 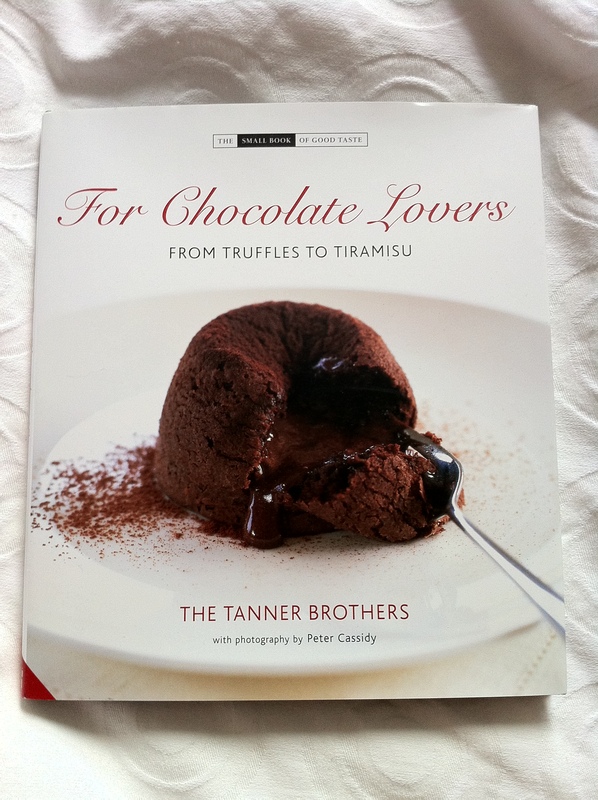 I have to say, when this prize was won in the raffle, the recipient was expecting a cookbook. But he was overjoyed to find that it had been signed for him as well. Having spent over 20 years in the catering industry you get to meet an awful lot of people, some you stay in touch with, some you don’t. Some become really good friends who’ll help you through thick & thin. Mr Richardson is one such person. Having first met him over 5 years ago, we’ve remained in contact ever since & become good friends. He’s since left the licence trade and now works for the National Trust over seeing some of the catering operations in the South West. Mr R is a charming, likeable character who quite frankly could charm the hind legs off a donkey but even by his standards he excelled in donations. The National Trust has some beautiful properties in the South West, one of which features in opening scenes for Alice in Wonderland. So when they came back to the school with not 1 but 2 family passes for 2 properties near to Totnes, I think everybody was surprised. Not finishing there, Mr Richardson then also approached a former employer for me. Dartington Hall is a splendid property set in the heart of the Devon countryside which is a trust with an internationally renown center focusing on arts, social justice and sustainability. Mr Richardson was able to facilitate a donation of a three course meal for 2 at the White Hart, which is the wonderful pub on the Dartington site. Along with other donations from local businesses just under £1000 was raised over two nights for this worthwhile cause. I would like to thank all those that donated prizes.